The most capable sedan on the planet. The “quickest, fastest, most powerful sedan ever” won’t often be seen showcasing its full potential, so Dodge has released this video of the Charger SRT Hellcat high speed testing. While it may technically be a prototype, essentially the awesome sedan you are about to see clock over 200 mph is the same one you can go and buy from your local Chrysler dealership. 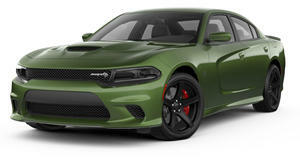 Thanks to its 707-hp supercharged V8, the supercar-killing Hellcat can also sprint to 60 mph in 3.7 seconds and will clock the quarter mile in eleven seconds dead. But this is all about top speed. What a beast.